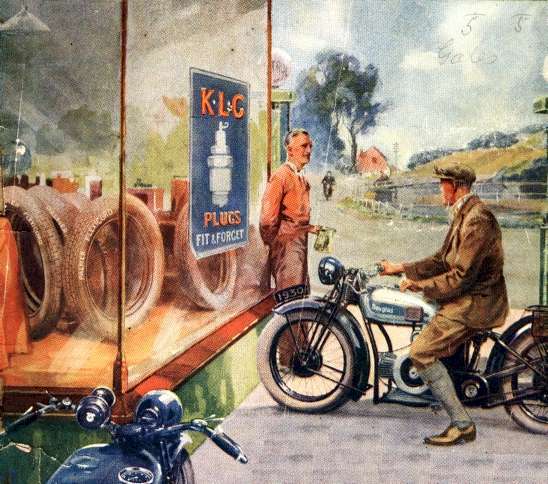 It's not often that you come across colour in old motorcycle literature, but when you do it seems to conjure up a special "feel". Here's a few pieces I've found recently. 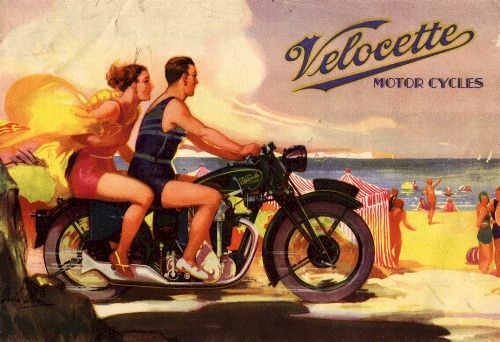 The first example is from the cover of a leaflet outlining the 1931 Velocette range. If you made it past the stunning cover, you would find details of the race-ready KTT, the road-equipped KSS, the coil-ignition KTP and the luxury two-stroke GTP. The Show Report issue of the Motor Cycle on December 5, 1929 featured this relaxing cover, liberally splashed with advertisements for Douglas motorcycles, Palmer tyres, Smiths speedos etc. 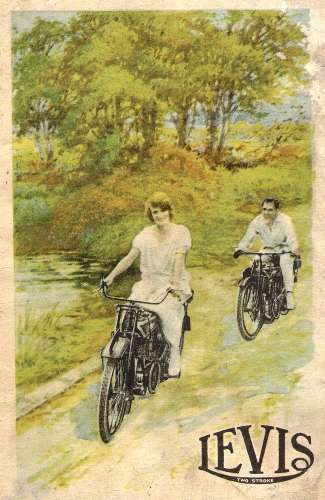 And last but not least is the charming cover from a c1923 booklet extolling the virtues of Levis motorcycles. Not a catalogue, but a twenty-or-so page booklet including a full history to Levis achievements. Nice pictures, but probably not quite up to the "fine art" standard of the continental posters of the period, a fine collection of which can be viewed at La Memoire Terrot-Dijon. You can follow the link on the links page.